Register your pet with us here a Beechwood Veterinary Hospital you will receive your first veterinary consultation FREE of charge. To redeem this offer downlpad the PDF voucher below and bring into the practice or favourite this page and show us on your mobile device. *Please present this voucher to reception on arrival. One pet per consultation. This offer applies to the consultation fee only. This offer does not include any other services, any medication prescribed or products which are chargeable and must be paid in full. The voucher has no monetary value. No cash alternative. This offer cannot be used in conjunction with any other offer or scheme including The Healthy Pet Club. 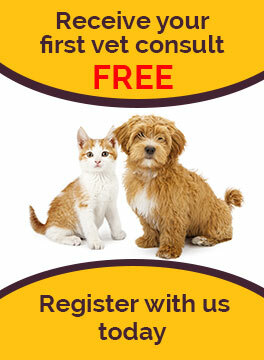 This offer cannot be used for second opinions or on emergency care with VetsNow.